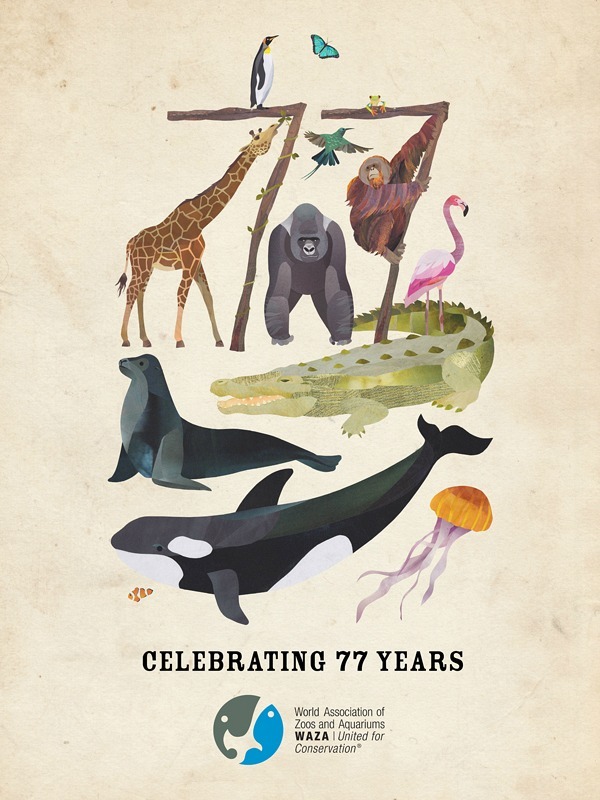 A few months ago I was contacted by the World Association of Zoos & Aquariums to design and Illustrate a commemorative print for their 77th Anniversary. The brief was wide open, with just a list of species that they’d like to be included, so it was a really fun project to work on with lots of creative freedom (it was also subject matter and a cause close to my heart too). 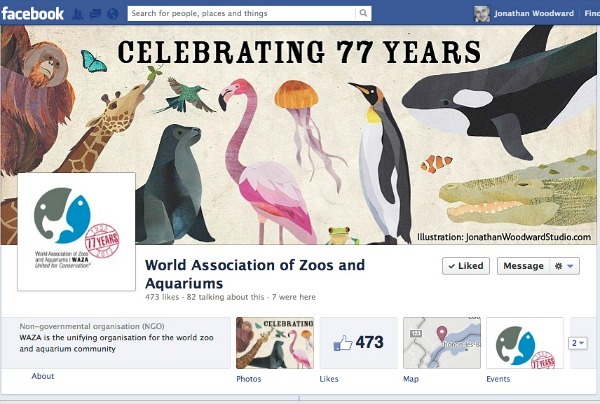 The final Illustrations are now being rolled out across their network to 300+ zoos around the world (with my contact details on, so it’s such a perfect promo vehicle to my ideal target market), along with a framed print being presented to 10 of their most longstanding members (zoos) at their annual conference in Melbourne, Australia later in the year. I also created a cover graphic for their Facebook page too. A print of the poster is also now available from my Society6 store with 50% of all profits going to the World Association of Zoos & Aquariums. Please visit the ‘Read more about’ link below.